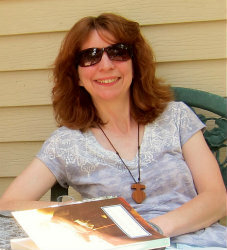 I’m the Writer-in-Residence at Holy Trinity Catholic Church. What’s that, you say? 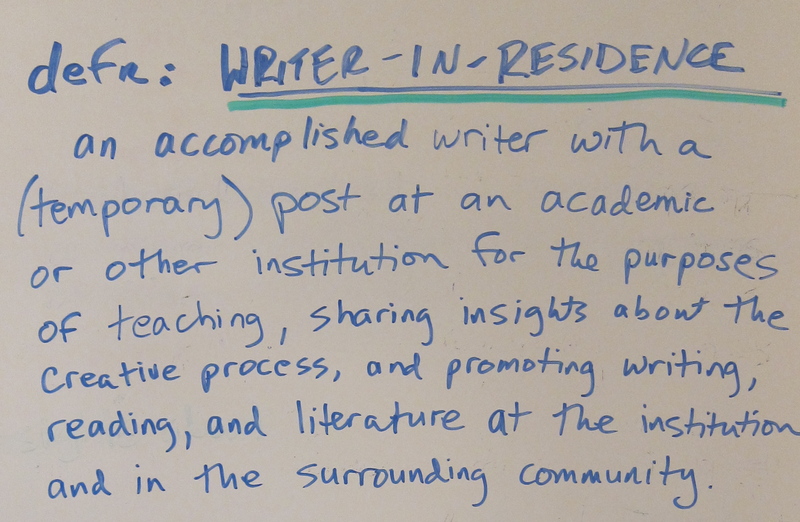 What’s a “writer-in-residence? From Radical Hatred to Radical Love (a review of the autobiography of former white supremacist Joseph Pearce). 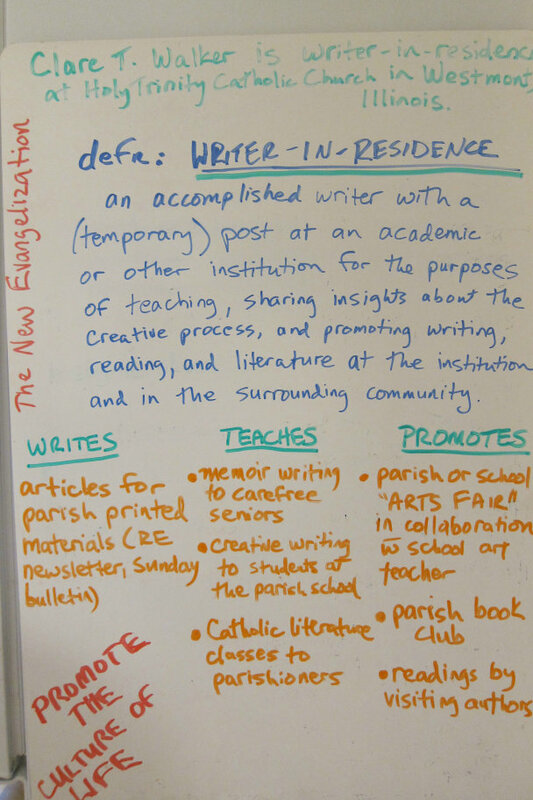 How did I get to be Writer-in-Residence? …and ideas of what else I could do at the parish. He really liked the idea of writing a book review for the Sunday bulletin, so I’ve been doing that since the summer of 2013. Other ideas include a parish book club, writing classes, readings by visiting Catholic authors, classes and presentations on Catholic literature, and collaborating with the art teacher at the parish school to hold an art fair, and building and maintaining a parish library. It’s really fun! I write 500 words, usually on a new or classic spiritual book or other book Catholics would enjoy reading. Printed, it’s a half page column in the Sunday bulletin. Sometimes I change it up by writing about other things, like media resources and local places of interest. This is an oldie-but-goodie. It’s a “novel-in-stories,” or, if you prefer, a volume of linked short stories. All were previously published (most in Astounding Science Fiction from 1941-1950, one in Super Science Stories in 1941.) The original hardcover edition came out in 1950. My paperback edition was printed in 1970. 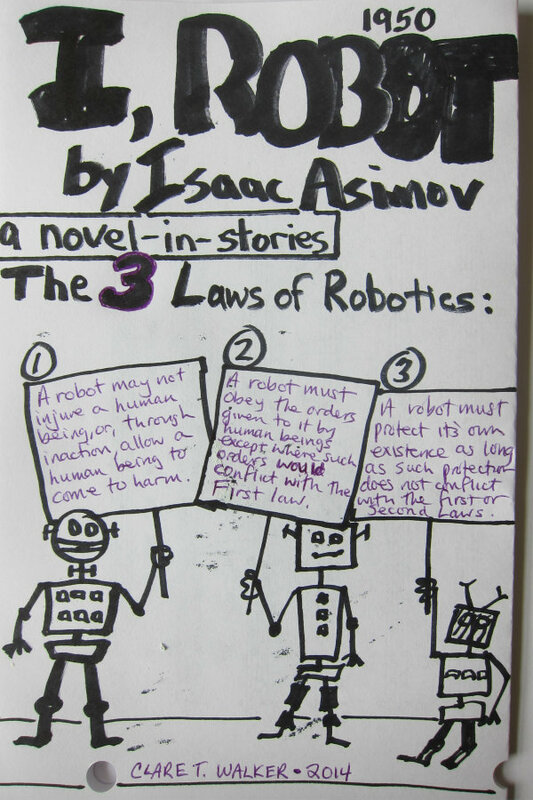 Most of the stories show human beings solving technical glitches in robot behavior. The hinge upon which the solution turns is always a paradoxical and insoluble dilemma brought on by conflicts among the 3 Laws. The robot goes haywire, and it’s up to the human beings to reason out the answer. Authors of linked stories construct a framing device to link the stories together. 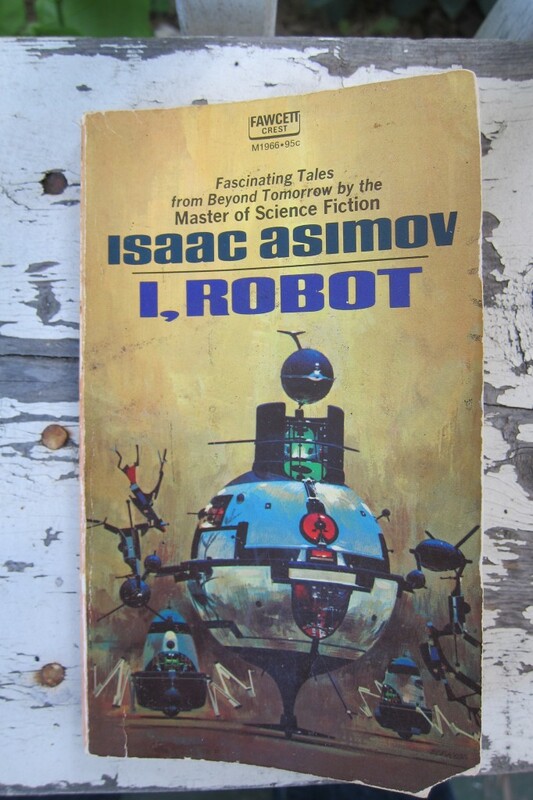 The framing device of I, Robot is a series of interviews conducted by an unnamed narrator. He interviews Dr. Susan Calvin and, offscreen presumably, two other characters, field technicians Powell and Donovan. 1001 Arabian Nights — A despotic prince marries a different woman every night and has her executed in the morning. His latest bride, Scheherazade, saves her life by captivating her new husband with a story. The story is so good that he puts off her execution until the next day just so he can hear another story. This goes on for 1000 more nights, and by the end of it, the prince realizes that he loves Scheherazade and decides not to execute her after all. Dandelion Wine by Ray Bradbury, Winesburg, Ohio by Sherwood Anderson, and The Women of Brewster Place by Gloria Naylor — The framing device is time and place: all the stories take place one summer in the life of a 12-year old Midwestern boy in the 1920s (Dandelion Wine), in the fictional town of Winesburg, Ohio in 1919 (Winesburg, Ohio), and in the same decaying urban neighborhood (The Women of Brewster Place). The Year We Left Home by Jean Thompson — Chronicles 30 years in the life of the same Iowa family. The stories are told from the points-of-view of the various members of the family. The Jungle Book (1894) and The Second Jungle Book (1895) by Rudyard Kipling — Stories about animals and people in India. Many of them are about Mowgli: one of, if not the original, boy raised by wolves. The Girls’ Guide to Hunting and Fishing by Melissa Bank — The framing device is the main character, Jane, who chronicles episodes in her life coming-of-age as a woman in the modern world. The Watson Chronicles by Ann Margaret Lewis — This book contains a double framing device: a series of mysteries solved by Sherlock Holmes and his companions, and a blossoming romance between Dr. Watson and a young woman. James Herriot’s autobiographical veterinary stories — All Creatures Great and Small, All Things Bright and Beautiful, All Things Wise and Wonderful, The Lord God Made Them All. 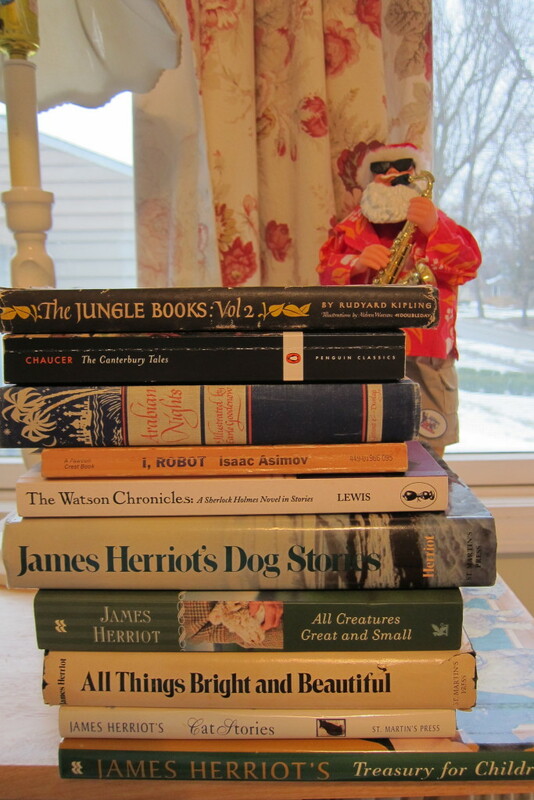 As novels, each of the books is thinly plotted, serving as a frame for the entertaining anecdotes of Herriot’s life as a country animal doctor in northern England of the 30s and 40s. Most of the chapters stand alone as stories. Indeed, special collections of Herriot’s stories have been released: Dog Stories, Cat Stories, and various children’s picture books, later compiled as James Herriot’s Treasury for Children. “Robbie.” First published as “Strange Playfellow” in Super Science Stories. 1940. “The Evitable Conflict.” Astounding Science Fiction. 1950. Post a comment below if you can think of any other “novels-in-stories” or volumes of “linked stories” that I missed! Startling Figures now available at amazon! 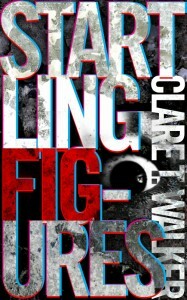 Startling Figures, volume 1 — is available at amazon.com in paperback and Kindle e-book! It’s a collection of stories of the paranormal. Enter your email address in the box below and you’ll automatically receive updates about Startling Figures, volume 2 and other cool stuff! Christmas is when you get stuff! Right? I think I’d rather poke myself in the eye than get up early to stand in the cold and the dark outside Target in order to get a great deal on a laptop computer, a Magic Bullet, or [insert name of this year’s must-have item here]. I understand some people leave their Thanksgiving table early to attend an amazing sale at Kohl’s or Best Buy or wherever. No thanks. A Kitchen-Aid mixer is not worth dying for, and the “crass materialism” of the whole thing is rather offensive. But sometimes I wonder: what if I’m missing some unbelievable price on something I actually need or a gift on someone’s list? Wouldn’t it be worth giving Black Friday a try? 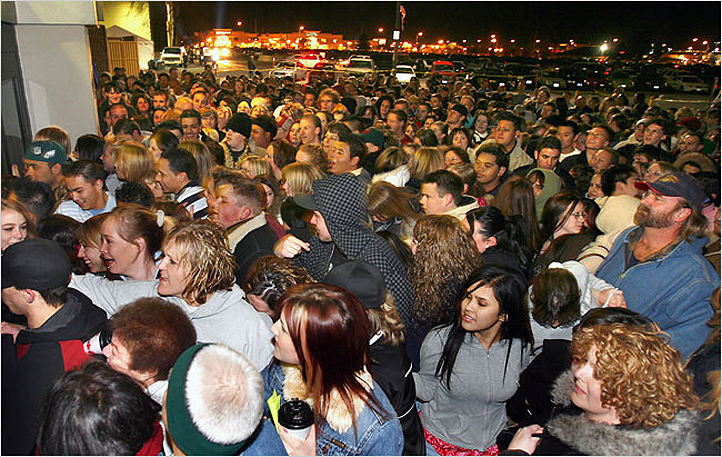 Any media outlet that talks about Black Friday as an actually important phenomenon is either ignorant or working hard to please their advertisers. Retailers offer very little in the way of actual discounts, they expose human panic and greed, and it’s all sort of ridiculous if not soul-robbing. Sixteen years ago, my friend Jerry Shereshewsky helped invent ‘cyber Monday’ as a further expansion of the media/shopping complex mania. 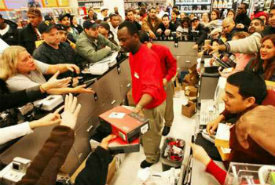 It was amazingly easy to find people eager to embrace and talk about the idea of developing yet another holiday devoted to buying stuff. People like doing what other people are doing. People don’t like being left out. The media likes both. Most of us enjoy going out and getting some “stuff” for ourselves and our loved ones at this time of year, but how necessary is it, or wise, to risk death-by-trampling in a Walmart? P.D. 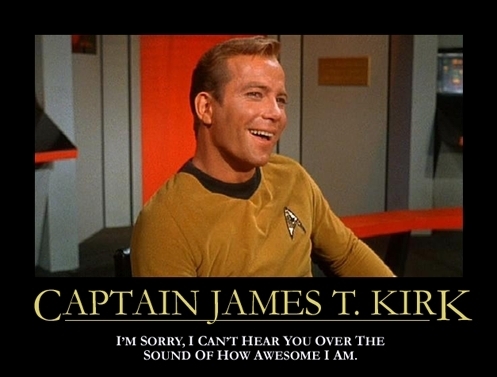 James, one of my favorite authors, died Thursday, November 27, 2014, at 94 years of age. The world has truly lost one of the greats—she was a master of the “classical detective story,” an accomplished author of a fine novel of dystopian speculative fiction, and, most recently, a beautifully written light mystery set in the world of Jane Austen’s Pride and Prejudice, which, coincidentally, I finished reading the day before she died. I also just finished teaching a class on Popular Fiction (as opposed to the other kind, that is, Literary Fiction). P.D. James was one of the few authors whom we discussed more than once, because of her ability to write in more than one genre. I highly recommend her books, and when you read the detective novels pay particular attention to how she worked within the stringent confines of the genre. Her creative genius lay in her ability to be innovative and original even when adhering to the formulas and conventions of the classical detective novel. The Hero — the detective — employs reason, logic, and ingenuity to solve the crime. He (or she) works by brain-power alone (unlike his counterpart in the Hard-boiled detective novel, who makes frequent use of brute force). Exceptions exist, of course, but the classical detective typically is neither physically attractive, nor sexually active. He may be weak or even disabled, and is often eccentric, fastidious or in some other way aloof from other people. Many classical detectives work independently of the official authorities of the law, solving cases for their own personal reasons. (examples of “classical” detectives: Sherlock Holmes, Adam Dalgliesh, Miss Jane Marple, Hercule Poirot). The action of the story takes place on a small stage with distinct edges, such as a charming English village, a large manor house in the country, a remote island resort, a cruise ship, or a transcontinental passenger train. The setting represents a world and a social structure with clear, comprehensible boundaries, into which the murder intrudes like a distasteful aberration. The story ends with the detective cleverly unmasking the criminal and explaining how he solved the puzzle. Once the distasteful business is concluded, the remaining characters all return to their upper middle-class lives, confident in the knowledge that God is an Englishman and that all is right with the world. To the reader, the book (if well-written) has been a satisfying and diverting intellectual exercise. The Rt. Hon. 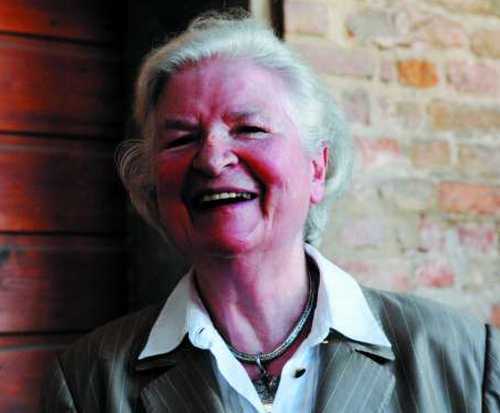 Phyllis Dorothy, Baroness James of Holland Park (Aug 3 1920—Nov 27 2014). May she rest in peace. This article touches on several conventions of the classical detective story. Includes an interesting quote from James about how crime fiction confirms a certain worldview about the universe. Those of you who took my class may recall that one of the functions of the classical detective story is to confirm this worldview. Highlights of James’s career in this genre include Cover Her Face (1962), Unnatural Causes (1967), An Unsuitable Job for a Woman (1972), A Taste for Death, 1986), Devices and Desires (1989). 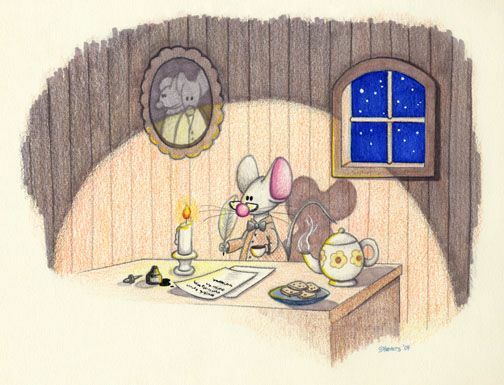 Free writing is a time-honored writing exercise useful for writers and artists of all kinds: fiction, non-fiction, poetry, visual artists, designers, dancers, directors, actors…It’s a good way to jumpstart creativity and loosen up if you’re feeling creatively constipated. The names I’ve heard in connection with this technique are English professor Peter Elbow and authors Julia Cameron and Natalie Goldberg, but in my research I discovered writer/editor Dorothea Brande and learned that Jack Kerouac and William Butler Yeats are well-known for using free writing techniques. When I think about the past, I mostly get confused, because I don’t have a great memory for things. My brother Dave remembers our childhood a lot better than I do. And as for my own kids’ childhoods — they’re a blur. The other day Lyndsey got out some old photos because she wanted to put them into albums, and there were pictures where we were like, “Which kid is that?” Blonde, blue-eyed. They all look the same as babies. The clothing helps determine boy versus girl, but other than that they all look the same. It was really funny trying to figure it out. Eventually we figured it out based on the carpet, because we worked out that we had the old carpet — the real-estate beige — with Pete and Keith, and then changed it to the dark blue sometime before Gussie was born. I think. Might have been before Roxanne. How are you supposed to keep the past clear in your mind when you spend so much of your life doing the same thing over and over again? It’s really hard here in California because the weather doesn’t change enough to mark the seasons clearly. When I was growing up in Indiana we had four distinct seasons, and you could remember things by remembering that there was snow outside when that happened, or the leaves hadn’t been raked yet and I have a clear picture in my mind of what our front yard looked like when such and such a thing happened. Recent past is something I wouldn’t mind forgetting. That thing with Jack Emery’s dog Tex was terrible. I swear I had a mild case of post-traumatic stress disorder after that. I scared Lyndsey half to death a couple times at night, sitting bolt upright in bed with a shout. Still, in 10 minutes I came up with 305 words. Not too bad: 250 words is one typed, double-spaced page. the Wikipedia entry on free writing has some other links and references you could follow (on Jack Kerouac, Peter Elbow, William Butler Yeats, etc). The phrase “bus ride from hell” no doubt conjures up bad memories of trips to and from school on the big yellow bus, or perhaps visions of a cross-country journey you would rather forget. But in his 1946 book The Great Divorce, C.S. Lewis really means a bus ride from Hell. The book begins with the narrator boarding a bus in the mean streets of the netherworld and taking a trip that will determine his eternal destiny. After the narrator boards the bus, it takes off into the sky. Before it reaches its destination, the narrator has endured the sob stories of two fellow passengers and witnessed an all-out brawl on board. Their destination is a grassy plain on the summit of a high cliff. When the passengers disembark, they discover that they are all nearly transparent, like ghosts. Soon, however, a large crowd of “real” people—solid people—comes to meet them. The narrator witnesses a few encounters between ghosts and solid people before meeting his “own” solid person, a man named George Macdonald, named by Lewis after the 19th-century Scottish author of the same name. Macdonald serves as the narrator’s guide to the afterlife, similar to the way Virgil guided Dante in The Divine Comedy. Lewis’s masterpiece “theological fantasy” is a quick read (my paperback edition is only 128 pages long) but sobering: it’s hard not to see oneself in the self-absorbed Poet, or the Bishop who knew it all but rejected God, or the Woman With a Martyr Complex who wanted her deceased husband to leave Heaven so she could continue to “fix” him in Hell, or the Devoted Mother whose love for her son became a dismal obsession. Like all Lewis’s books, this one could change your life. Highly recommended. For more information on C.S. Lewis: the C.S. Lewis Wikipedia entry, “the official” C.S. Lewis website, and the C.S. Lewis entry on Biography.com. 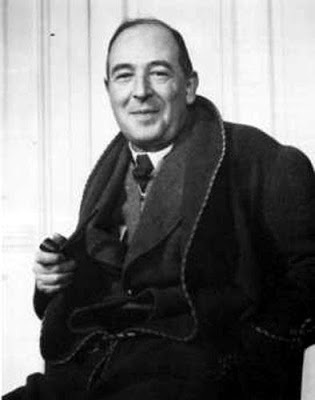 Lewis’s most well-known works include The Chronicles of Narnia, a trilogy of science fiction novels (Out of the Silent Planet, Perelandra, That Hideous Strength), and several works of popular Christian apologetics (Mere Christianity, The Abolition of Man, The Screwtape Letters, The Great Divorce). 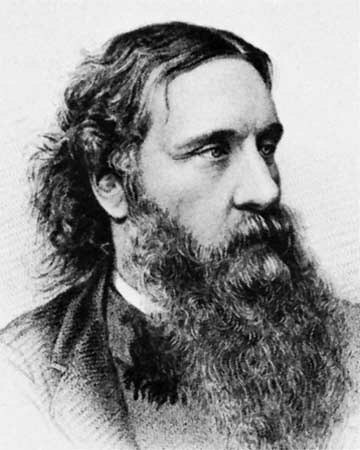 For more information on George Macdonald: the George Macdonald Wikipedia entry, The Golden Key website, and a biography of him on The Literature Network. Macdonald’s most well-known works include Phantastes (1858), The Princess and the Goblin (1872), and Lilith (1895). The world of popular fiction lost one of its best craftsman one year ago: on Wednesday, October 30th, 2013, Michael Palmer passed away. He was one of the innovators of the thriller genre: he wrote medical thrillers — intense, fast-paced mysteries featuring a medical doctor as the Everyman hero who gets caught up in a perilous adventure. 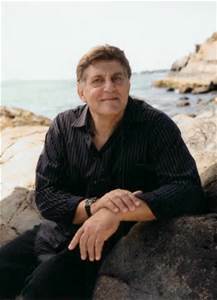 I read many of his novels as I was preparing and writing my own variation on the genre — a veterinary medical thriller, in which the medical Everyman is a small-town animal doctor who finds herself mixed up in a corporate whistle-blowing scheme against a big, bad pharmaceutical company. Palmer was known for being an extraordinarily generous writer, so naturally helpful and encouraging that he included his own agent’s contact info on his website and invited aspiring authors to send in their work to the agency. His website also features excellent “how-to” tips for beginning and experienced writers alike, not just in the medical thriller genre but in all types of storytelling. …with thanks to Chicago-area author Joelle Charbonneau for introducing me to Palmer’s novels. 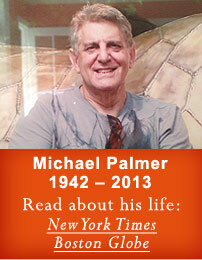 a tribute to Michael Palmer on The Big Thrill (the website of the International Thriller Writers association. 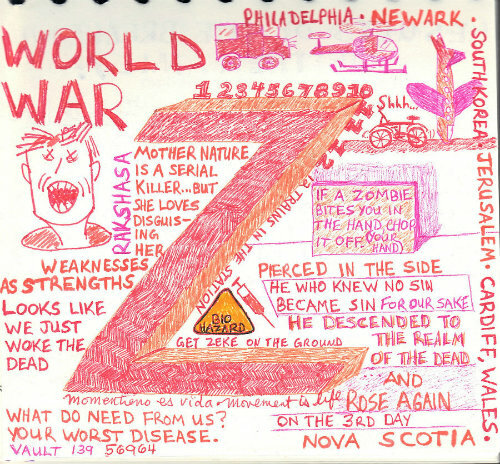 Saw World War Z for the first time last week, on DVD. 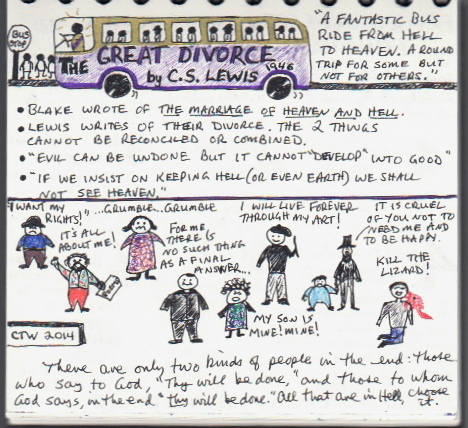 Watched it again last night and made the above sketchnote, some of it inspired by commentary on the movie by Fr. Robert Barron. Made with Foray colored-ink ballpoint pens and Paper Mate Flair markers. 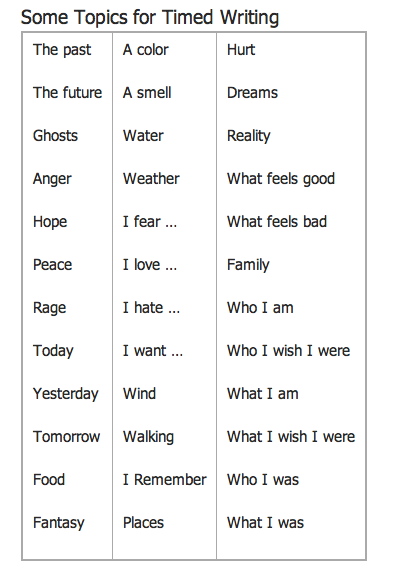 I first read about the concept of wabi-sabi in Rework (2010) by Jason Fried and David Heinemeier Hansson). Reading these in preparation for teaching a class on popular fiction. J.F. Cooper’s novels about Natty Bumppo are considered to be Westerns in embryonic form. I’m hoping to cover Westerns, Science Fiction, Fantasy, Classic Detective, Hard-boiled Detective, Suspense Thrillers, and Romance, as well as discuss how popular fiction differs from literary fiction. 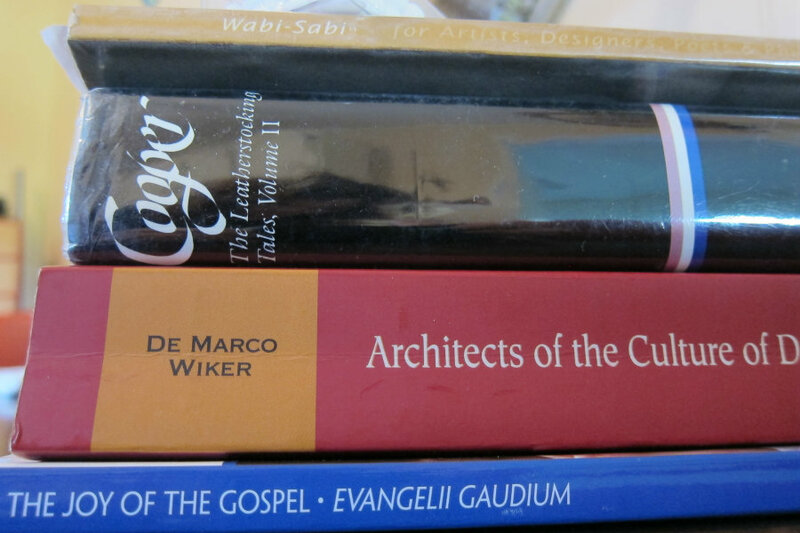 In his 1995 encyclical Evangelium vitae (The Gospel of Life), Pope John Paul II coined the terms “culture of death” and “culture of life.” Wiker and de Marco wrote fascinating biographies of people whose lives, writings, and activism shaped the framework upon which the culture of death is built. Many people — not just Catholics — are following this Pope with interest.